it’s no secret that i LOVE getting packages in the mail. it doesn’t matter what it is, even if it’s not for me, seeing a package on my doorstep is one of the most exciting things ever. well, next to hearing a doorbell ring in a TV commercial, and waking up on a saturday morning to the smell of bacon, of course. today the mailman delivered two packages, and BOTH were addressed to me! what was in them? 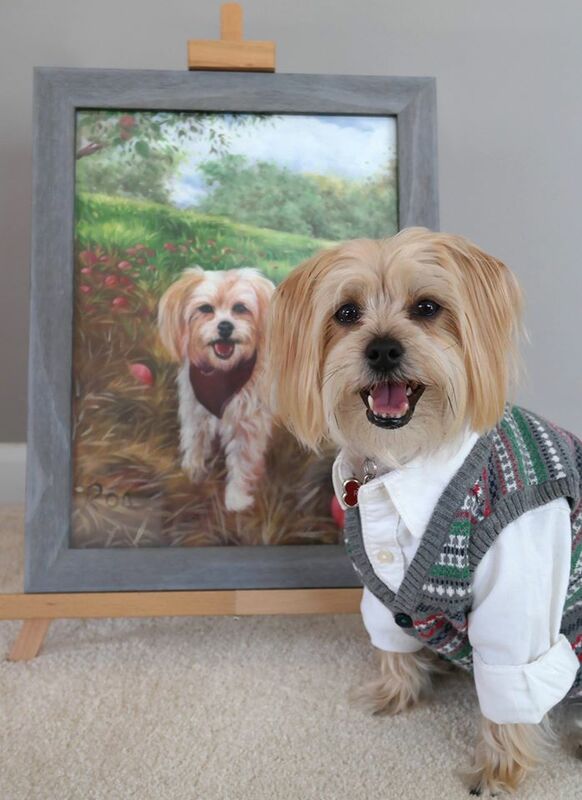 two pet portraits from Paint Your Life, and – holy smokes – they were of ME! talk about mona lisa status, am i right? a few weeks ago, Paint Your Life offered to send me two portraits in exchange for an honest and unbiased review on my blog and social media pages. sweet! i’m reeealllyyy good at being unbiased and i always say exactly what i’m thinking, so this should be a piece of cake. and here’s the final drawing! funny story: once we put this portrait in the frame, the human leaned it up against the wall so she could go find a hammer and nail to hang it in the living room. when she came back, i was growling at it – at myself! – because i thought it was real. yes, this actually happened. 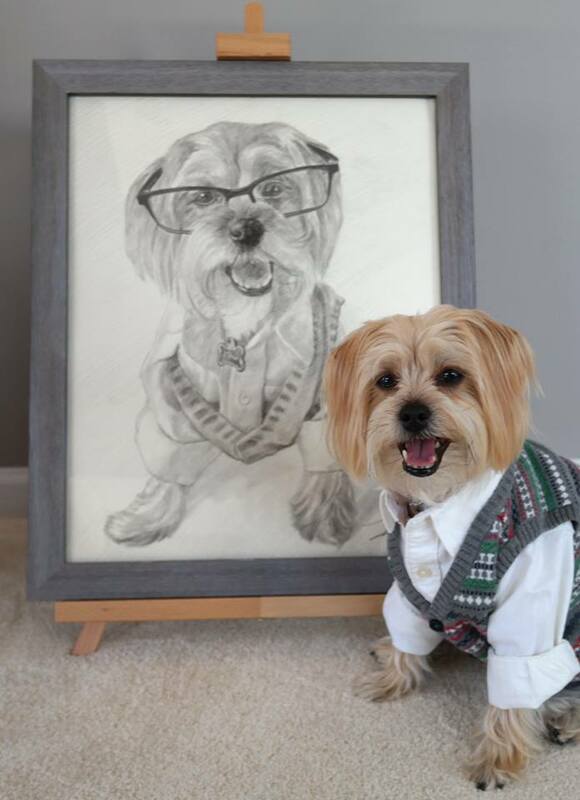 i don’t know what came over me, but i was convinced that the portrait was another super handsome dog wearing my favorite glasses. for like, a second. it wasn’t a proud moment, but can you blame me? it’s so lifelike! you can never be too careful, you know…. the second portrait was a painting of me frolicking around in an apple orchard. this is one of the human’s favorite pictures of me, and now we have a one-of-a-kind portrait of it! think you’d like a pet portrait of your own? lucky you, Paint Your Life gave me an exclusive coupon code just for my fans (‘cus you guys rock, duh! ), just in time for the holidays! 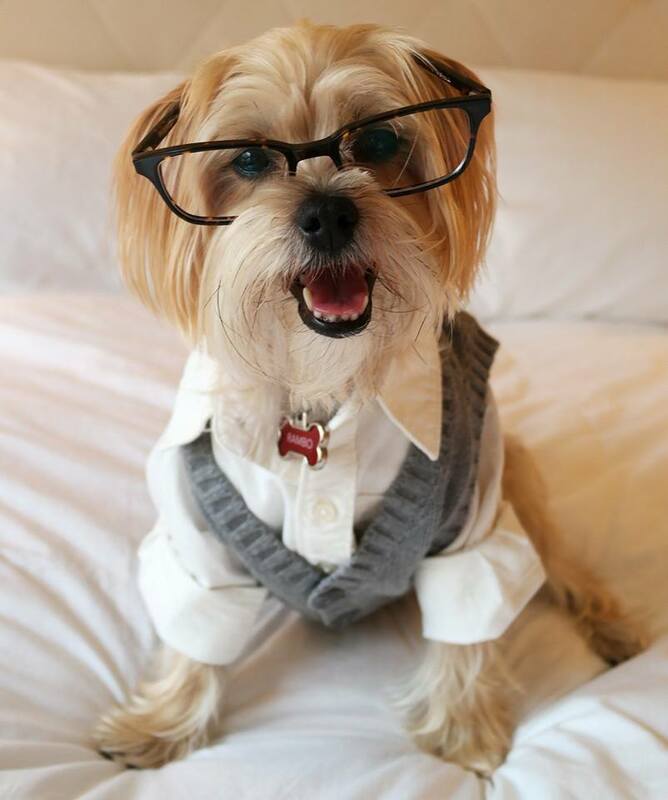 use code rambo40 to get 40% off any pet (or human) portrait on their site. here’s a link to the price list page if you want to check it out. psst, the deadline to order a portrait in time for christmas is November 30th! the process of ordering a portrait and submitting your photo is easy-peasy, and they send you updates throughout the process so you can see how the painting is turning out. As always love your blog and all your pics!!! Going to look into the pet portraits. Youblook amazing!!! 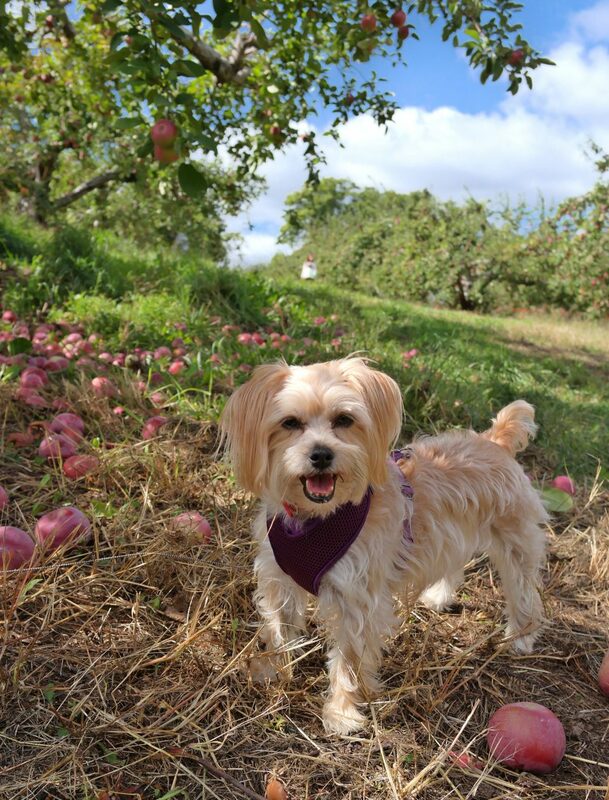 my favorite is the apple orchard!